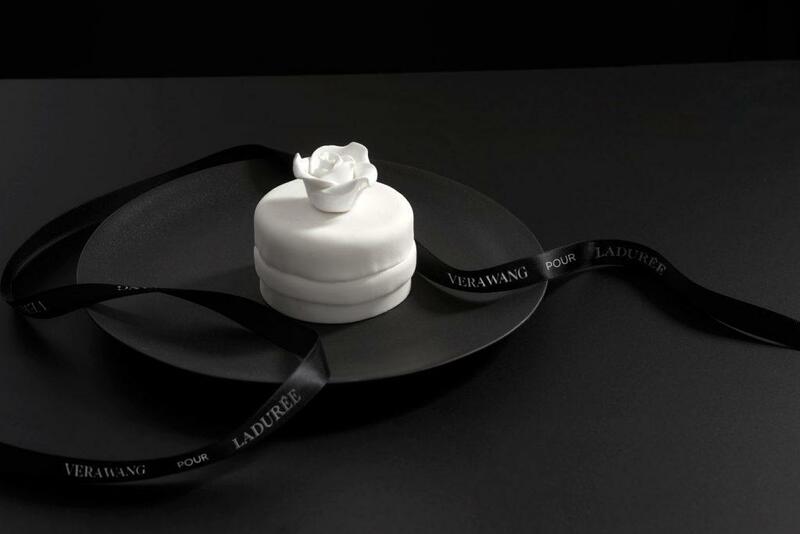 Vera wang is teaming up with Ladurée on a deliciously chic lineup of sweet confections for a collaboration entitled Vera Wang Pour Ladurée. 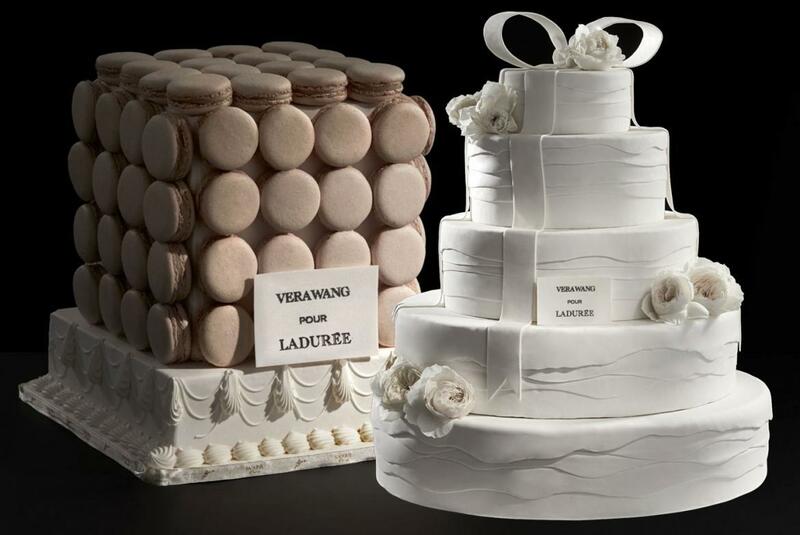 The collection includes coconut crème chantilly macarons, coconut and mango wedding cakes, coconut and mango mini cakes, and a cake made out of coconut crème chantilly macarons. 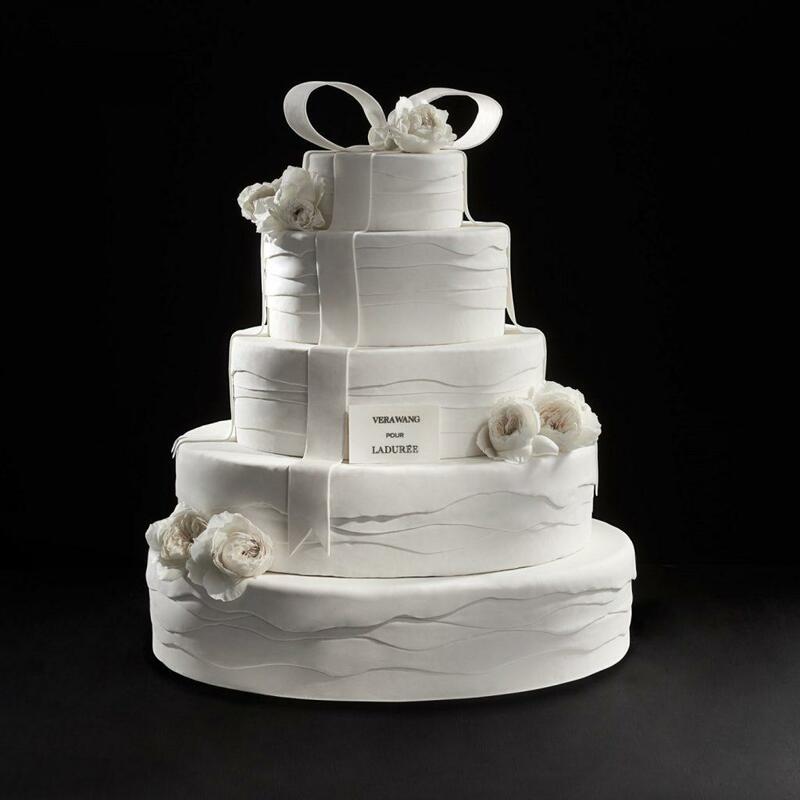 According to Vogue, Wang approached designing desserts much like she would design a wedding dress—“only, in this case, titrating with flavors and textures instead of fabric and finishings.” They also pay homage to her lifelong connection to Paris. 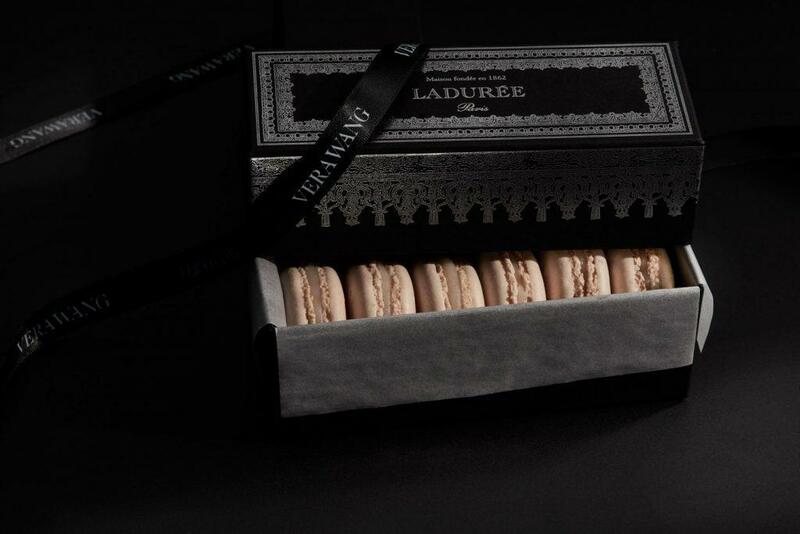 Vera Wang pour Ladurée will be featured in the windows of Ladurée Madison Avenue and Soho locations from January 10th – 26th. 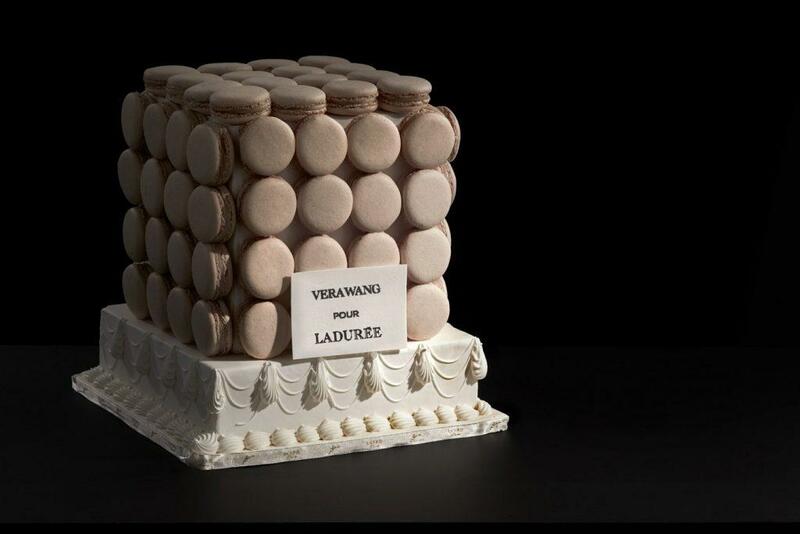 The cakes will be available for special order throughout 2018 at ladureeus@laduree.com. Individual cakes will retail for $20 and full sized cakes will retail at $20 per guest (minimum 40 guests). 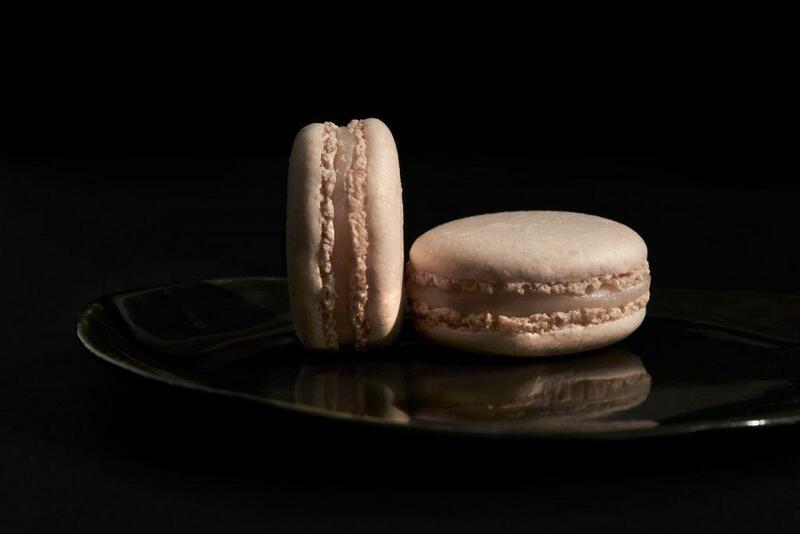 The macarons are limited edition while stock lasts, and will be available in four sizes: box of six ($24), small cube of 45 ($166), medium cube of 80 ($275), and a large cube of 125 ($425). The partnership follows a long list of collaborations for Wang, who’s created collections for everyone from Kohl’s to Serta Mattresses, Zales, and FitBit.